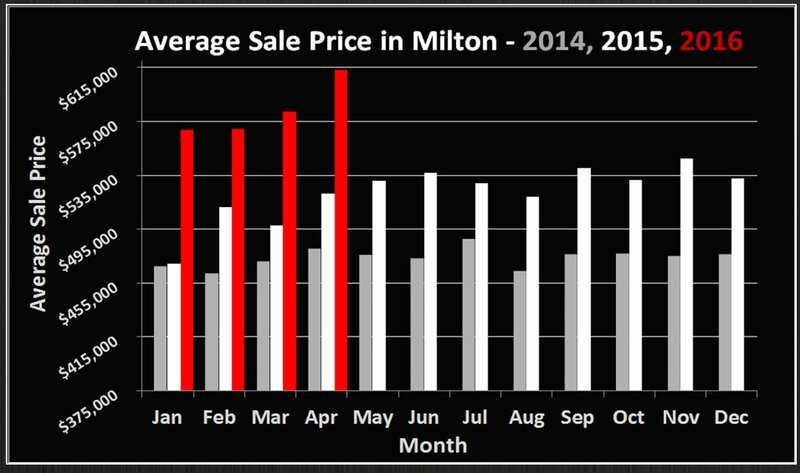 Much like in April 2014 and April 2015, we are experiencing an all-time high in Milton for average sale price. 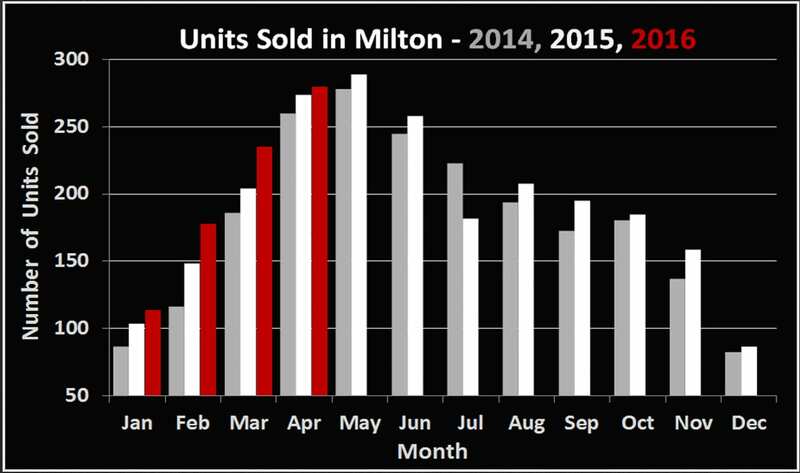 The 280 sales in April 2016 represent a 2.2% increase in volume year-over-year. The average price of a home was a staggering $613,000, up 17.7% and nearly $100,000 since last April. This is by far the most active market we’ve ever seen. Bidding wars and delayed offers are becoming the norm, with more than 60% of all listings last month selling over the asking price. As crazy as things appear to be, the market seems to still be ramping up. A shortage of available listings, record low interest rates and continued strong immigration are fueling a veritable feeding frenzy for the properties that do come on to the market. Aggressive buyers with deep pockets are making their way West from Toronto and Mississauga, seeking relief from even higher prices and stiffer competition. Although for many this may appear stressful and overwhelming (especially as a buyer! ), there are effective ways to handle these situations as either a buyer or seller. If you would like to discuss your options with regards to making a move in this current multiple offer environment, call or send us an email. We’d be happy to meet with you and walk you through the best plan of action.